Resettling veterans is indeed a ‘Nation’s Social Responsibility’. A concerted and collective effort is needed for absorbing veterans. The priority should be to help soldiers obtain jobs in the government sector by exploiting reservations. This is to be followed by mapping the industrial needs, talking to them (Industry) and training individuals as per the requirement of the industry. The DGR will well utilise their funds in this manner than conduct courses which are cosmetic in nature and results, and used as a paid break by most. This can best be done by integral placement organisations in respective services. We need to learn from the past and see that all armies care for their veterans. The trainees and disciplined manpower is to be taken as an asset on which a lot can be built upon. Let there be no doubt that Tuesday the 14 July will go down in the world history as one of the most epoch making day on which the Axis of Evil as Iran is termed by America and the Great Satan which Iran call America shed their decades old animosity to come closer, a happen ace which will have far reaching effect on the world affairs including India. On this day the five permanent members of the Security Council led by America as also Germany signed the nuclear deal with Iran after almost 24 months of continues negotiations. This eases sanctions against Iran allowing it to play its rightful role in the world arena as against remaining a pariah. World now takes a sigh of relief that Iran’s nuclear ambitions have been put to rest for long time in future. The entry of Iranian oil in the international market will further bring down oil prices benefitting Indian economy in a big way since it is 80% dependent on its energy imports. The Indian Government and Maoist Insurgents have been locked in a conflict for over five decades that is responsible for the deaths of over 10,000 people. 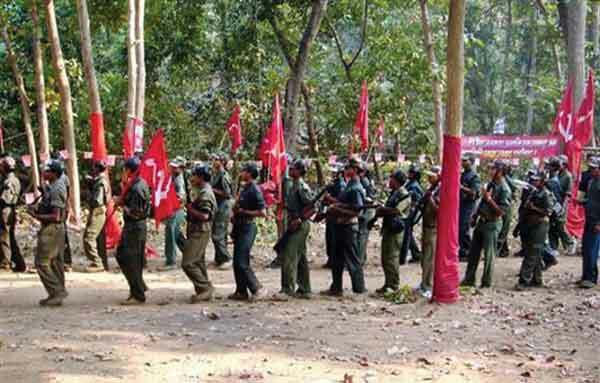 Today, Maoist insurgents have influence in 15 states and control more than 200 of India’s 640 districts in an area called the “Red Corridor.” Caught in the middle of this conflict are the rural communities that live in the mineral rich forest areas. Although rich in natural resources, the Red Corridor is isolated from modern development, lacks basic infrastructure and its diverse ethnic and tribal society is reliant on subsistence farming to survive. 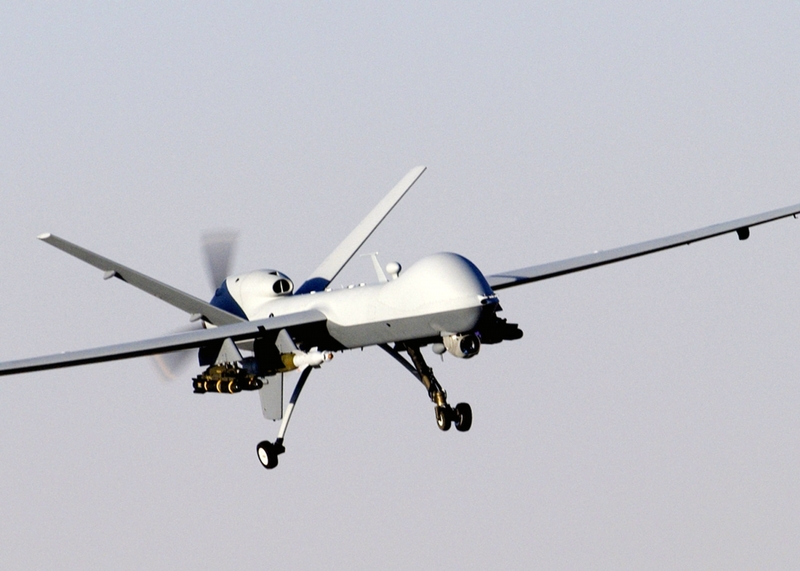 A drone that was shot down in Pakistan has been identified as having been made in China, a state-run daily said Saturday. This is exactly what India had said. The drone was "recognized in Beijing as the Chinese-made DJI phantom 3", the People's Daily reported, citing the Shanghai-based Observer website. In a revealing move, Taliban leader Mullah Omar, in his annual Eid message, declared as “legitimate” peace talks aimed at bringing to a close Afghanistan’s lengthy war. This represented the first comments the reclusive leader has made on the nascent process. Direct talks between the Afghan government and the Taliban on July 7 in Pakistan marked a major step forward after months, even years, of “talks about talks.” The talks were hailed by the National Unity Government (NUG) as “the start of the first ever official peace talks,” while Pakistan’s Prime Minister Nawaz Sharif declared the meeting a “breakthrough.” International reactions were also universally positive. At the same time, all noted that this was only the start of a long and difficult process. Certain positives can be drawn from the meeting. First, the fact it even took place after years of failed attempts is of considerable symbolic importance and could mark the starting point of an official peace process. While the meeting itself produced few concrete results, it was reportedly held in a “warm” and “positive” manner. 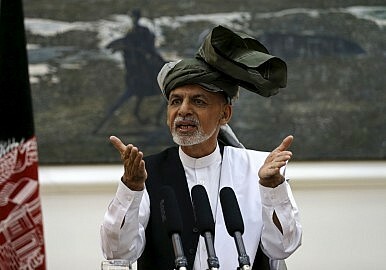 For an embattled Afghan president facing a worsening security situation and a prolonged failure to appoint a new defense minister following the rejection of acting minister Mohammed Masoom Stanekzai by parliament, any sign of progress in the peace process is timely and welcome. Significantly, it provides some vindication for Ghani of his policy of outreach to Pakistan, which has been the subject of strong domestic criticism. The new U.S. commander of the Pacific Fleet joined a seven-hour surveillance flight over the South China Sea on board one of America's newest spy planes, a move over the weekend that will likely annoy China. BERKELEY – The recent dizzying plunge in the Shanghai and Shenzhen stock exchanges has posed a unique test for China’s Communist rulers. So long as the markets were rising, the paradox of vigorous capitalist development overseen by the world’s largest and strongest Communist party confounded only academics and old-school Marxists. As the Chinese Communist Party elite and their relatives, foreign financial institutions, and some Chinese small investors (enabled by margin lending) made money on stocks, no one bothered to comprehend the mutant creature they were milking. But now, as the realization sinks in that Chinese stock prices will not keep rising indefinitely, the CCP is taking desperate, if clumsy, measures to control the correction. All new initial public offerings have been halted, and much trading has been curtailed; the central bank has been asked to help the China Securities Finance Corporation induce investors to buy shares and thus stabilize the market. Indeed, even the country’s sovereign wealth fund has gotten into the act. 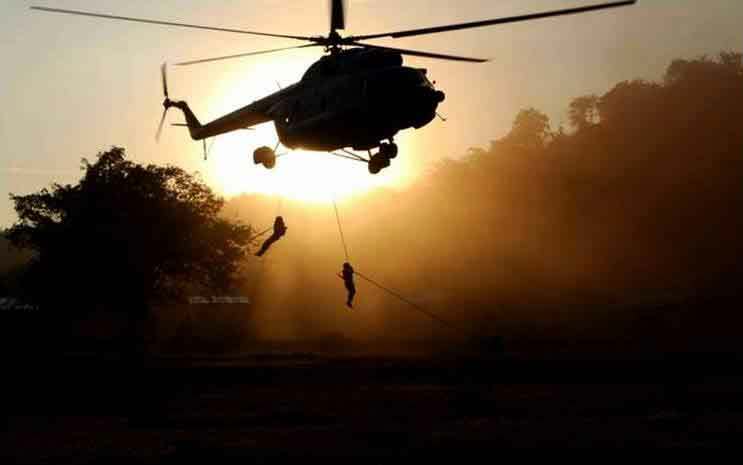 Five civilians were injured as Pakistani troops shelled Indian positions and residential areas along the Line of Control in Jammu and Kashmir on Saturday. Officials said those injured had been getting ready for lunch following Eid prayers when the shelling began. The Indian Army later retaliated with small-calibre weapons fire. A senior official told the Indian Express that the shelling from the Pakistani side was the sixth ceasefire violation in three days and added that the Line of Control in the Jammu region had seen increased activity following unprovoked firing on forward Indian posts in Rajouri district on Friday night. The ceasefire violations follow a meeting between Indian Prime Minister Narendra Modi and his Pakistani counterpart Nawaz Sharif on the side-lines of a regional conference in Russia earlier this month. Since the foundation of European Union and the treaty of Rome in 1958, the question of expansion of the EU has always been a hot topic. Beginning with the “first Six”, the membership has now reached to 28, with the Croatia the newest member. The need of members in the European Union has always been debated in the name of “European Integration”. This debate is as old as the EU. Every time EU accepts new member, the discussion of EU’s expansion hits the media. Looking at the past and understanding what we were, brings us to the next question of what we want to become now, and what we want to become in the future. European Union began with the “Inner Six” (Belgium, France, Germany, Italy, Luxembourg and Netherlands. 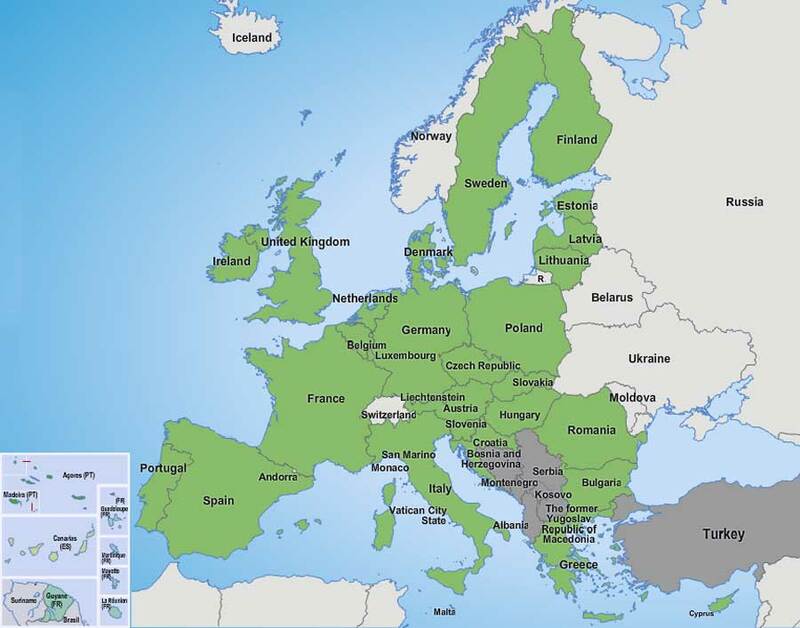 Denmark, Ireland and the United Kingdom joined the EU in 1973, while Greece joined in 1981, and Spain and Portugal became member of the EU in 1986. 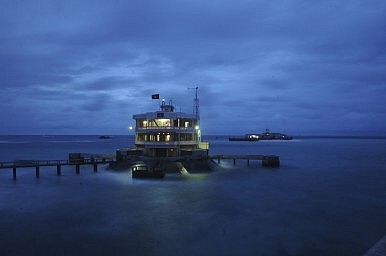 A general view of a building and a pier on Da Tay island in the Spratly archipelago January 6, 2013. Recently, Vietnamese and Western media resumed reporting on China’s HD-981 oil rig, after it wasredeployed to disputed waters, dredging up memories of the intense anti-Chinese protests in Vietnam and the diplomatic standoff that occurred last year when the rig was moved to waters between Vietnam and China for the first time. The HD-981 oil rig gives China a mobile, economic platform from which to project its sovereignty in disputed waters, but what about a cultural-historical platform? Well, “they have a ship for that,” too, and its recent deployment in the Paracel Island chain went relatively unnoticed. The vessel in question is China’s first domestically designed and developedarchaeological ship, and its deployment reflects China’s ability to rapidly introduce dedicated ships for virtually every function it desires. KMT candidate Hung Hsiu-chu faces an uphill battle, thanks to a controversial approach to cross-strait relations. On June 14, Taiwan’s ruling party, the Kuomintang (KMT), announced that presidential candidate and deputy speaker of the legislature Hung Hsiu-chupassed the minimum polling criteria of a 30 percent approval rating, with an average of 46 percent approval. 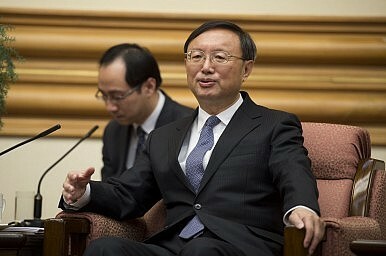 After gaining the approval of the Central Standing Committee, Hung was officially nominated by the KMT in the national party congress on July 19. Nicknamed “Little Hot Pepper,” Hung is known for her straightforward speaking style in the legislature. She’s been equally fiery in her policy pronouncements. When Hung announced she would seek the KMT nomination, she proposed “one China, same interpretation” as the plank for her cross-strait policy. Under the “one China, different interpretations” of the1992 Consensus, the Republic of China (ROC) and the People’s Republic of China (PRC) both claim to be the sole representative of China. Hung argues that this consensus has already served its purpose. She would like to upgrade the 1992 consensus to both sides having the “same interpretation” of “one China,” laying the foundation of a stable relationship between two sides. Hung has also championed a cross-strait peace agreement, which she says will ensure a legal basis for the peaceful interactions between Taiwan and the Mainland. ISIS, or the “Islamic State” as the group commonly refers to itself, has already made global headlines for its frequent beheadings, suicide bombings, and reportedly throwing gay people from rooftops to their deaths. The group is known for not only committing these horrific acts, but also for gleefully filming it and then releasing the footage to the media. But as shocking as all of those acts are, they won’t likely prepare you for one of their latest alleged actions — a so-called “training mission” — in which ISIS reportedly attached explosives to a baby and then used a remote detonator to blow it apart. THE ISLAMIC STATE COMES TO RUSSIA? The first anniversary of the Islamic State’s declaration of its caliphate has been marked by quite a few successes for the group. It has achieved many victories in Syria and Iraq. In Yemen, it has come to be a strong rival to al-Qaeda. In Tunisia, it mountedyet another successful terrorist attack claiming lives of tourists. It even issued its own currency — gold dinars. Riding this wave of successes, the Islamic State has started receiving pledges of allegiance from other militant groups. In March 2015, it accepted the pledge from Nigeria’s Boko Haram. Soon, Russia’s Caucasus Emirate followed suit: On June 21, an audio recording announcing the pledge of the group’s mujahedeen to the Islamic State appeared on the Internet. In response, the Islamic State spokesman Abu Muhammad al-Adnani confirmed the creation of the Caliphate’s branch in the North Caucasus, called Vilayat Kavkaz. Smoke rises after a car exploded near a Shi'ite mosque in Saudi Arabia's Dammam May 29, 2015. Saudi Arabia has arrested 431 people suspected of belonging to Islamic State cells and thwarted attacks on mosques, security forces and a diplomatic mission, the interior ministry said on Saturday. The announcement came after a car bomb exploded at a checkpoint near the kingdom's highest security prison on Thursday, killing the driver and wounding two security officials in an attack claimed by Islamic State. A string of deadly attacks carried out by followers of the ultra-hardline militant group based in Iraq and Syria has fueled concerns about a growing threat of militancy in the world's top oil exporter. "The number arrested to date is 431, most of them citizens, in addition to participants from other nationalities ... six successive suicide operations which targeted mosques in the Eastern province on every Friday timed with assassinations of security men were thwarted," the ministry statement posted on the official news agency SPA said. An Australian TV series smuggled a group of contestants across the Syrian border—and almost got them blown to bits by ISIS. It was ‘Big Brother meets ISIS’ when an Australian reality show actually brought its participants to the war zone inside Syria for an upcoming episode. According to a trailer for the show, a trio of reality stars and their film crew crossed over the Syrian border with Kurdish fighters and ventured just a half-mile from battle lines with the Islamic State. - Dec. 22, 2011: Attackers hit markets, cafes and government buildings in mostly Shiite neighborhoods of Baghdad, killing 69 people. - Jan. 5, 2012: Coordinated bombings target Shiite Muslims, killing 78 people in Baghdad and near the southern city of Nasiriyah, just days before a Shiite holy day. - Jan. 14, 2012: A bomb tears through a procession of Shiite pilgrims in southern Iraq, killing at least 53 people. - Feb. 23, 2012: Attackers kill at least 55 people as car bombs go off near an elementary school in the town of Musayyib, a restaurant in a Shiite neighborhood in Baghdad and various checkpoints and secure areas. "Like torture and genocide, preventive war is a foreign policy option which civilized countries deny to themselves, at some cost if necessary." In the domestic debate about the nuclear agreement between Iran and the P5+1 nations including the United States, it is often routinely asserted, by Democrats and Republicans alike, that “all options are on the table,” including “the military option,” by which is meant an unprovoked preventive war by the United States or perhaps Israel to destroy Iranian facilities which might be used to produce nuclear weapons. The casual and widespread acceptance of “the military option” is a disturbing development. Before the presidency of George W. Bush, preventive war was not considered a legitimate tool of anti-proliferation by the United States. In 2003, the United States fought the only preventive war in its history, on the pretext of preventing Saddam Hussein from obtaining weapons of mass destruction. The inadvertent result was the disintegration of Iraq, a regional Sunni-Shia proxy war and the emergence of the Islamic State. The preventive war against Iraq was the stupidest blunder in the history of U.S. foreign policy. That some Americans today, only twelve years later, can even consider the possibility of repeating that blunder in the case of Iran is as remarkable as it is appalling. The first few days of argumentation about the recently completed agreement to restrict Iran's nuclear program have taken predictable directions—predictable not only because the shape of the deal was known well before all the drafting was finished in Vienna but also because the principal opposition to the agreement has little or nothing to do with the terms and instead is opposition to any dealing with Iran. A recurring pattern in discourse about the agreement this past week has been reluctance by opponents to talk about the alternative of no agreement—again, unsurprising, given that the alternative is patently worse on nearly all the points (inspections, duration, limits on enrichment, etc.) on which the agreement gets criticized. This has meant, as Peter Beinart has noted, much evasiveness and changing of the subject when opponents are asked about the alternative. The opposition approach has been dominated by two general lines of attack: shooting at provisions of the agreement as if the alternative were not the absence of an agreement but instead some perfect pact, notwithstanding the unattainability of that ideal; and reminding people of all the reasons they should dislike Iran, notwithstanding how far this gets from the nuclear nonproliferation objective that is what the agreement is all about. "Contrary to popular portrayals of ISIS as a pathological terrorizer, Weiss and Hassan present ISIS as a strategic actor with a nuanced combination of carrots and sticks at its disposal." As the United States struggles to grapple with a strategy in Iraq and Syria, the Islamic State in Iraq and al-Sham (ISIS) is growing more diffuse yet more salient. In Kuwait, a suicide bombing at a Shia mosque on June 26 killed 27 people. In France on that same day, one man was beheaded in an attempt to blow up an American-owned chemical plant. In Tunisia, the massacre of 38 tourists at a beach resort in Sousse has prompted the Tunisian government to declare a state of emergency. ISIS claimed responsibility for all three attacks and is now actively recruiting Taliban fighters in Afghanistan. These events ignite fears that ISIS could gain formal footholds in other states besides Syria, Libya, and Iraq and mobilize sleeper cells to perpetrate remote terrorist attacks. "If Americans need something or somebody to blame, it is poor Arab governance and the failure of Arab leaders to take responsibility for cleaning up the hot mess they have made." As Heritage Foundation Vice President James Jay Carafano recently opined in these pages, Arab military forces have largely been missing in action in the battle against ISIS. Equally important, leaders of Arab governments and mainstream and moderate Muslim religious authorities have joined them on the sidelines in confronting Islamic terrorism. The forces that are ripping the Middle East apart are largely homegrown, and not even the United States, the most powerful country in the world, can do much to tame them. If this region is ever going to emerge from chaos and offer a more secure, prosperous and just future for its 420 million inhabitants, Arab leaders will have to muster the unity, vision, and political courage to lift their countries up by the bootstraps. HELSINKI — Finland's Armed Forces Command has added a quick response dynamic with plans to locate rapid reaction units (RRUs) to military districts that fall under the command of the country's four military provinces. Defense Minister Jussi Niinistö described the initiative as necessary to strengthen operational readiness and bolster Finland's overall defense and deterrence capabilities against rising regional tensions over Russia's military intervention in Ukraine. The focus of deployment for the RRUs, which constitute a new feature within Finland's territorial-based, infantry-centered defense strategy, will be military districts close to Finland's 833-mile border with Russia. 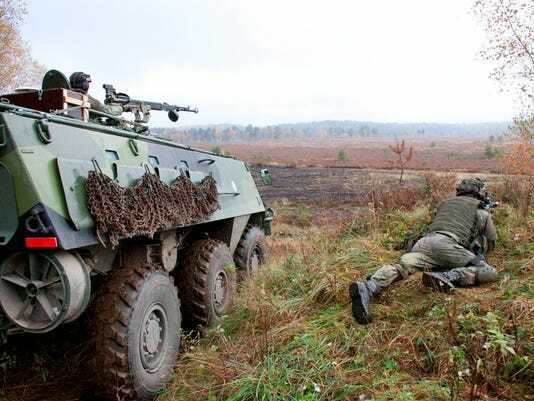 Finnish territorial defense doctrine traditionally has been to use mobile field Army units backed by mainly local reserve forces to counter, delay, repel and inflict heavy losses on aggressors attacking across Finland's heavily forested, lake-rich frontier and inland terrains. In selling the nuclear deal with Iran, the Obama administration has been careful to point out that it is just an agreement on nuclear issues. “[The deal] solves one particular problem,” President Obama explained in his news conference on Wednesday. And supporters and critics alike are quick to suggest that this move is quite different from Richard Nixon’s opening to China, which transformed China and its relations with the world. Iran, after all, is a rogue regime that chants “Death to America” and funds anti-American terror across the Middle East. But let’s recall what China looked like at the time Henry Kissinger went on his secret trip to Beijing in July 1971. Mao Zedong was, without question, the most radical anti-American leader in the world, supporting violent guerrilla groups across Asia and beyond. And while it didn’t chant “Death to America,” Beijing was the principal supporter of the North Vietnamese, sending them troops, supplies and funds to fight and kill American soldiers every day. China was also in the midst of the Cultural Revolution, one of the most barbaric periods of its modern history. Fareed Zakaria writes a foreign affairs column for The Post. He is also the host of CNN’s Fareed Zakaria GPS and a contributing editor for The Atlantic. The dramatic events surrounding the intense negotiations for a deal on Iran’s nuclear industry and the sanctions on it deserve immense attention because of what they tell us about two pivotal dynamics in the Middle East, namely the role of Iran in the region and the world and the more mature attitude of the United States towards countries and movements that it disagrees with, like Iran, Hezbollah, Hamas and others. Yet, despite the momentous impact of an agreement on Iran, the dynamic this week that I am watching much more closely is the offensive launched Monday by the Iraqi government to retake Anbar Province from the hands of “Islamic State” (IS). Anbar Province’s convoluted and fast changing condition in the past decade is a sign of wider stresses that plague Iraq, including the province’s successive anti-American, anti-Islamic State in Mesopotamia, and anti-Baghdad rebellions, its gradual loss to IS during the past year, and Baghdad’s current strategy to return it to the fold of the Iraqi state. Putting up taxes unthinkingly is bad for economic growth and often actually leads to lower tax revenues to government. If you raise the tax on business activity there is less incentive to expand and to make profit. Why work harder if the government is going to take more money? What is more, if you raise taxes carelessly it may act as an incentive to tax avoidance – legal measures to reduce your tax bill – or even outright tax evasion. This is a widely held view and one which has considerable merit. 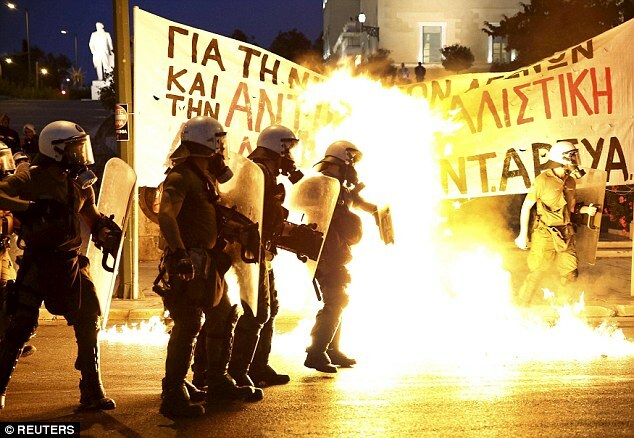 But apparently it does not apply to Greece. The eurozone has decided that to renew Greece’s economy and to boost tax revenues, the appropriate policy is to jack up taxes. And not just any taxes, but VAT on leisure activities and on holiday islands, Greece’s prime industry and its biggest source of outside income. A sophisticated group of hackers, who earlier targeted the White House and State Department, have launched a stealth phishing campaign on the Pentagon. Hackers linked to Russia who penetrated the computer networks of the White House and the State Department have turned their sights on the Pentagon, The Daily Beast has learned. And this time the hackers are using more sophisticated technologies that make them exceptionally hard to detect and that allow them to cover their tracks. The Daily Beast obtained an email notice that the Defense Department sent Friday warning “at least five” DOD computer users have been targeted in the latest campaign. The notice linked these attacks to penetrations of unclassified networks at the White House and State Department that began last year and were reported in April. The notice doesn't specify whether any information has been stolen, nor does it indicate which agencies the targeted victims work in. Russia is making moves in the Middle East nuclear-energy game. It could be time for the United States to get involved, too. With all eyes currently transfixed on the P5+1 negotiations on Iran’s nuclear future, there is seemingly little attention being paid to another landmark Middle Eastern nuclear trend, spearheaded by Russia. Moscow’s strategic investment in Middle Eastern nuclear-energy development is cementing long-term influence in capitals ranging from Tehran to Riyadh, Ankara to Cairo, to Amman. With Washington’s own relationships with those governments floundering since the rapprochement with Tehran, and relations with Moscow being back at Cold War levels, is the lack of U.S. engagement on this issue hampering overall U.S. foreign-policy objectives? Sure enough, the rationale behind regional efforts to develop nuclear power can vary. It can signal a “coming out” into high society, where nuclear bling connotes economic and national prestige. It can also signal a forward thinking commitment to clean and consistent energy diversification. Or, it can even hint at the possibility that a country could move to weaponization. But, whatever the reasons are for the Middle Eastern countries to pursue nuclear energy, what is clear is that in making this decision, each country requires significant foreign assistance—assistance that in turn comes with significant political leverage. The dozen or so teenagers staring at computers in a Marymount University classroom here on a recent day were learning - thanks to a new National Security Agency cybersecurity program that reaches down into the ranks of U.S. high school and middle school students - the entry-level art of cracking encrypted passwords. Others in the room stumbled through the exercise more slowly, getting help from instructors who had prepped them with a lecture on the ethics of hacking. In other words, they were effectively told, do not try this at home. WASHINGTON — In the month since a devastating computer systems breach at the Office of Personnel Management, digital Swat teams have been racing to plug the most glaring security holes in government computer networks and prevent another embarrassing theft of personal information, financial data and national security secrets. But senior cybersecurity officials, lawmakers and technology experts said in interviews that the 30-day “cybersprint” ordered by President Obama after the attacks is little more than digital triage on federal computer networks that are cobbled together with out-of-date equipment and defended with the software equivalent of Bubble Wrap. In an effort to highlight its corrective actions, the White House will announce shortly that teams of federal employees and volunteer hackers have made progress over the last month. At some agencies, 100 percent of users are, for the first time, logging in with two-factor authentication, a basic security feature, officials said. Security holes that have lingered for years despite obvious fixes are being patched. And thousands of low-level employees and contractors with access to the nation’s most sensitive secrets have been cut off. LOS ANGELES AIR FORCE BASE, Calif. – The U.S. Air Force Space and Missile Systems Center announced the delivery of the third Space Based Infrared System Geosynchronous Earth Orbit satellite into storage at the Lockheed Martin facility in Sunnyvale, Calif. This satellite is a critical component in the next generation early missile warning system and is designed to replace the legacy Defense Support Program satellites. The SBIRS primary mission areas include strategic and theater missile warning, strategic and theater missile defense, technical intelligence, and battlespace characterization. The satellite sensors also collect data that can be used in support of weather missions and civil applications, showcasing program office efforts to exploit the capabilities of the SBIRS sensors’ capabilities. The Greek government on Saturday ordered banks in the country to reopen and begin financial transactions from Monday, three weeks after they were shut down to prevent the European nation’s economy from collapsing. While withdrawal limits were increased to 420 euros from 60 euros, capital controls and restrictions on foreign monetary transfers were not lifted. The order came hours after new ministers were sworn into the Alexis Tsipras-led government, following a cabinet reshuffle which saw the prime minister replace dissidents from his Syriza party who opposed the terms offered to Greece for a bailout package. Earlier, the European Central Bank agreed to reopen its emergency credit lines to Greece. The Greek government and European Union member-nations will now begin talks on a new bailout package. The security agencies in Saudi Arabia arrested 431 people who were allegedly part of a “network of cluster cells” linked to the Islamic State of Iraq and the Levant, the state-run media reported on Saturday. The Saudi Press Agency said the arrests had prevented “horrific terrorist operations” in the country, adding that 37 security personnel and civilians, along with six militants, were killed in the operations. The SPA said the arrests took place over several weeks and that most of those apprehended were suspects in an attack on a mosque in May which killed 21 people. Others arrested included people who had helped spread the Islamic State's propaganda and recruit members for it. A few months ago, The Diplomat wrote a piece about surveillance practices and programs in Central Asia. Working from an in-depth report from Privacy International, it didn’t take much digging to find Western companies – including U.S.-based Verint Systems and the Israel-based NICE Systems – guilty of selling Central Asian regimes programs to track citizens, opposition, and dissidents. Now, we have further information about how these organizations funnel their wares to repressive Central Asian governments – as well as how much they’re paid in return. A massive hack earlier this month into the inner workings of Hacking Team, an Italy-based surveillance software manufacturer, pried some 400GB worth of data, including, according to Wired, “directories, audio recordings, emails and source code.” Prior to the leak Hacking Team’s proclivities had grown so pronounced that Reporters Without Borders placed the company on its Enemies of the Internet Index. 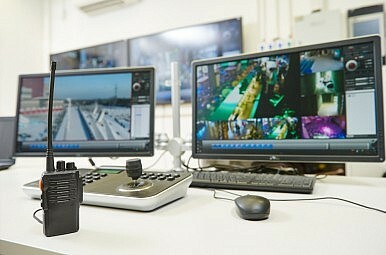 Rumors of Hacking Team’s alleged improprieties have swirled for years, led most notably by Citizen Lab, which determined the company had sold its Remote Control Systems (RCS) to Uzbekistan and Kazakhstan. "If this sequence is appropriate for making war, it should also be appropriate for avoiding war." 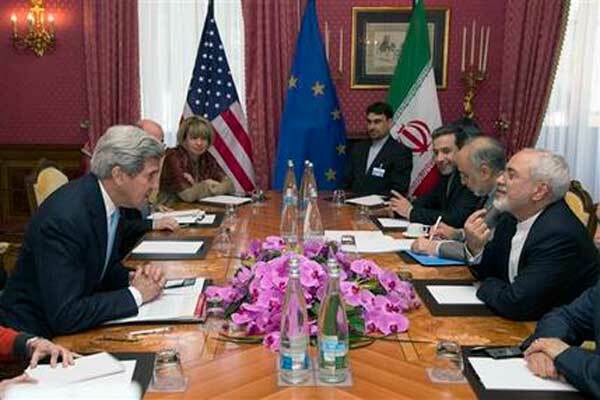 The United Nations Security Council votes on Monday [July 17] on the Iranian nuclear limitation agreement. The timing of this resolution—well before the Congress votes up or down in mid-September— has been met with a wave of indignation on Capitol Hill. Some Democrats have joined Republicans in expressing their displeasure, charging an “end run” of the Congress, disregard for its oversight role, and a violation of U.S. sovereignty. Chairman Bob Corker (R-TN) of the Foreign Relations Committee called the move “highly problematic” and “an affront to the American people.” Ranking Minority Member Ben Cardin (D-MD) told reporters that “I think it is somewhat presumptuous to take it to the UN for a vote before the Congressional review is over."